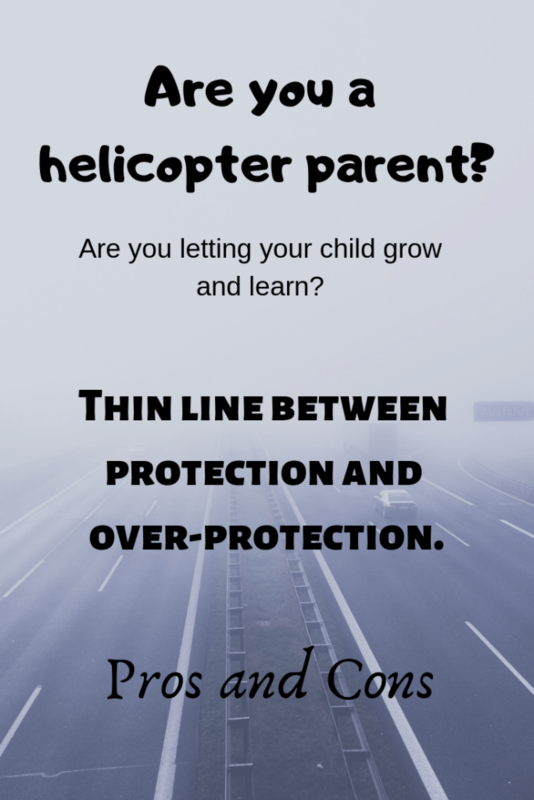 Helicoptering or a helicopter parent is usually a term associated with parents hovering overhead and taking over every aspect of their child’s life. In the absence of elders in the house, Helicoptering has become very common among nuclear families and working parents. Parents are naturally protective towards their children right from childbirth. The first time I held my son, I felt responsible for his growth and success. I felt that it is my job to shield him from this bad world and keep him safe. Little did I know that I have only two hands and his potential for injury and mischief is limitless. In our endeavor to look out for our child, we sometimes hold them back thus acting like an obstacle in their growth. In our world we tend to create perfect situations for our children to keep them secure and happy but in real world, children fall, fight, get hurt and learn from their mistakes and make their own way. Recent posts which you could have missed. Recently I attended my cousin’s wedding and met a couple of families with young kids. 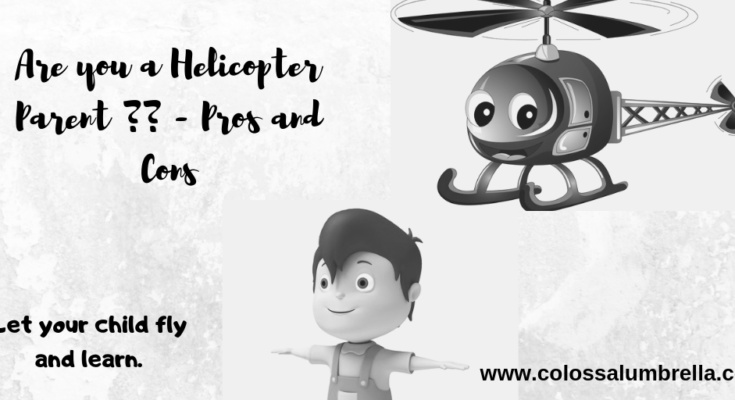 After observing children playing around, it was quite evident that helicoptering is a big issue and parents tend to hover overhead without releasing that it is hampering their child’s growth. The modern, urban mother is prone to taking it upon herself the onus of providing her child the best of everything, education, leisure, activities ,sports etc. This is a good aim but sometimes mother’s love gets excessive and this turns out to be a mad race to the finish. There is so much information out there that parents tend to get confused and always want their child to be all-rounder. Over-parenting happens when parents do not let their child by themselves, gives child everything even before it is asked for. Many working parents have been in competitive environments. 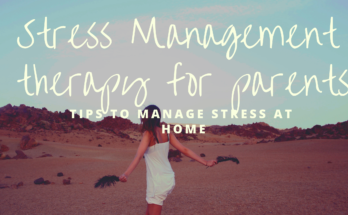 For them parenting is a job in which they need to excel so you would see tight schedules for everything, follow-ups and time table. Overparenting working against the concept of unstructured play thus limiting your child to grow and become more innovative. Children become more dependent on parents for making small decisions and always tend to follow their parents without following their dreams or passion. The fear of parents transmits into children, who begin to perceive danger in any new activity. Most over-protective children grow up as insensitive since they do not have the capability to care about others. Such kids have issues adjusting with others. Most over-protective children tend to grow up with rebellious attitude which could lead to bigger issues. Listen and communicate with your child. Don’t judge your child. Remember it has only been few years for him in this world and this is a learning phase. Making mistakes allows him to learn and grow his experience. Don’t expect your child to do the things right way. Let him make mistakes. Allow them to fall so can learn to get up and walk. Allow them to desire for things and make them earn it instead of simply handing over. There is a fine line between parenting and overparenting. You do need to make sure you protect your children but you still need them to feel free to fail and grow. Without that freedom there are long term issues. Parenting is one of the toughest jobs I have ever had. There are so many do’s and don’t, so many unsolicited advice from people you don’t even know, etc. etc. Parenting does not come with an instruction book. We just follow our instincts and do what we feel is right for our kids. I am a very attentive parent, but I don’t think I am overboard about it. I’m the parent who takes their kids to the playground and other kids are running around and pushing my kids and being mean to them, and I don’t see those kid’s parents. It can be frustrating! I can say my parents are over protective, but in reality, I know that they aren’t overprotective. They simply love and care for me and they want to know that I’m safe and happy. When I’m out and about in a park for example I keep my 3 close by for safety reasons. I can’t be 3 places at the same time no matter how much I try. When at home they get to go play wherever they like. Yes this is true. I think we are too overprotective sometimes. I have two older kids and now I wish I had allowed them to have more unstructured play time when they were little. I grew up with very strict parents and although it was difficult, I guess I still thank them for putting me on the right path. However, when it was my time to be a parent, I did exactly the opposite. I let my kids be kids. I let them get dirty, explore the outdoors and learn through experience. There are some restrictions though and with those imposed restrictions, I imposed compliance. Worked well for me and the kids! As mentioned, we are all learning on the job and there is nothing called bad parenting… just different types. 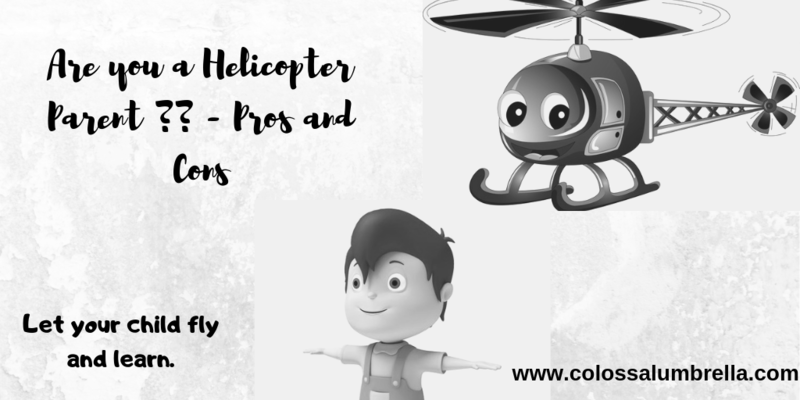 I don’t find it wise enough to be a helicopter parent. It’s always nice when you can allow your child to grow. Haven’t we seen children walking out of their homes to find themselves and follow their passion when they had everything at home? Just because of over-parenting!